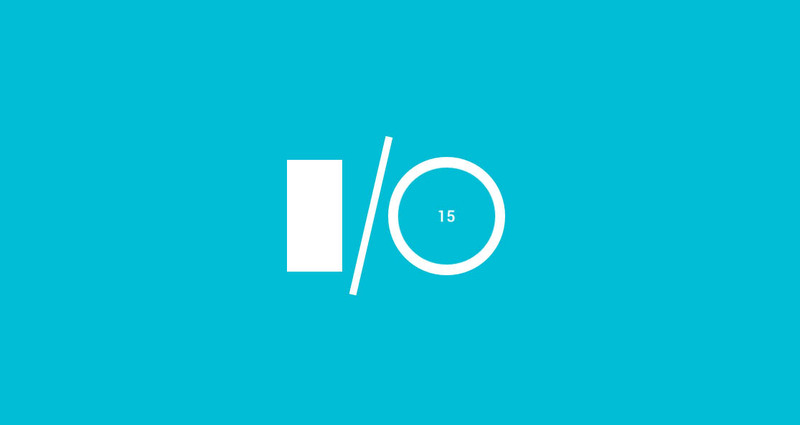 Google posted the I/O 2015 schedule this morning (more on that in a bit) with a session hosted by the ATAP (Advanced Technology and Projects) team that has already caught our attention. The session is titled “Badass and beautiful. Tech and human. Love and work. ATAP.” which doesn’t tell us much, other than they have some wild, spiritual, and emotional thoughts on technology. 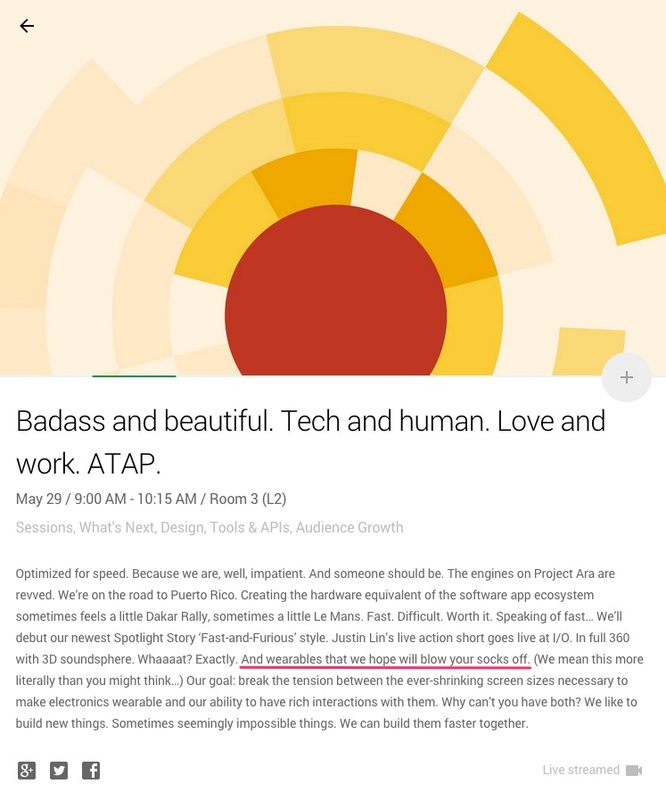 But should you cruise into the description of the session, past the Fast and Furious reference, we find out that the ATAP team has new wearables to show off. Shortly after confirming that they have a new Spotlight story to debut, there is mention of “wearables we hope will blow your socks off.” I don’t think they could make it any clearer that they have new wearables of some sort to debut. What could they be? Well, directly after the “socks off” reference, the session says that they “mean this more literally than you might think.” So, does that mean smart socks or smart shoes or smart sandals or some other form of smart footwear that doesn’t even require socks? Or was that literal reference also meant somewhat figuratively? From there, the session description talks about breaking the tension between the “ever-shrinking screen sizes necessary to make electronics wearable and our ability to have rich interactions with them.” So, smart sandals that have touch screens? That’s obviously a joke, but I really am lost at this point. No matter what, we are expecting wearables of some kind from the ATAP team, and that’s good news.